The City of Flagstaff and Northern Arizona University launched a bike share program, a six-month pilot program to test bike share in Flagstaff, on Monday. 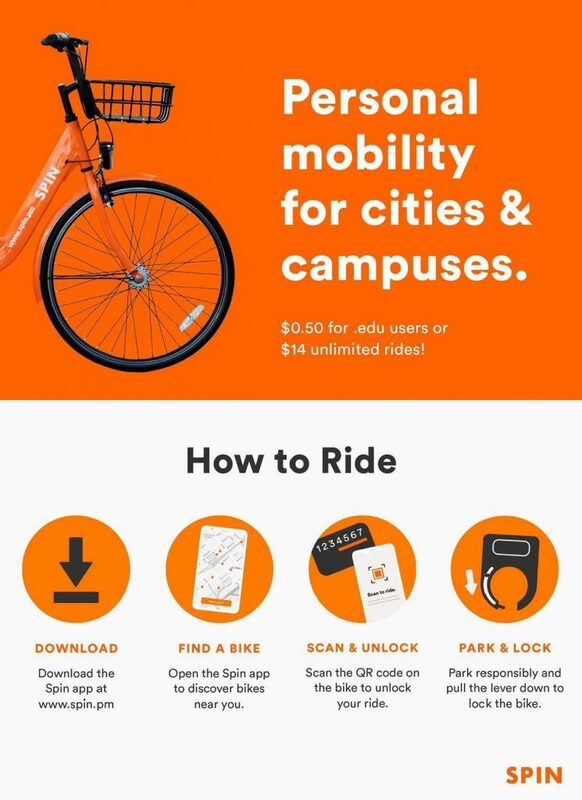 The program will allow one bike share company to operate approximately 300 bikes in the city and on the NAU campus. The pilot program provides the city and NAU the opportunity to collect feedback and create guidelines for future bike-share operations. During the pilot phase, the vendor, Spin, will track bike usage and preferred parking areas to identify where residents and students will benefit most from the service. Each bike is equipped with a basket, bike light, integrated locking system and GPS tracking device that can be used to locate bikes. Participants use the Spin app to locate and unlock a bike by scanning the QR code on the back of the bike. To end a ride, users simply park the bike in a responsible location, such as near a bike rack, and pull the lever on the bike down. This pilot program leverages private investment to expand transportation options for Flagstaff residents and NAU students, reduces parking demand and helps Flagstaff take meaningful climate action. Spin is responsible for all facets of the program, including relocation, repairs and accidents. This pilot program required no public financial investment. To have a bike relocated, contact Spin at 1-888-262-5189. 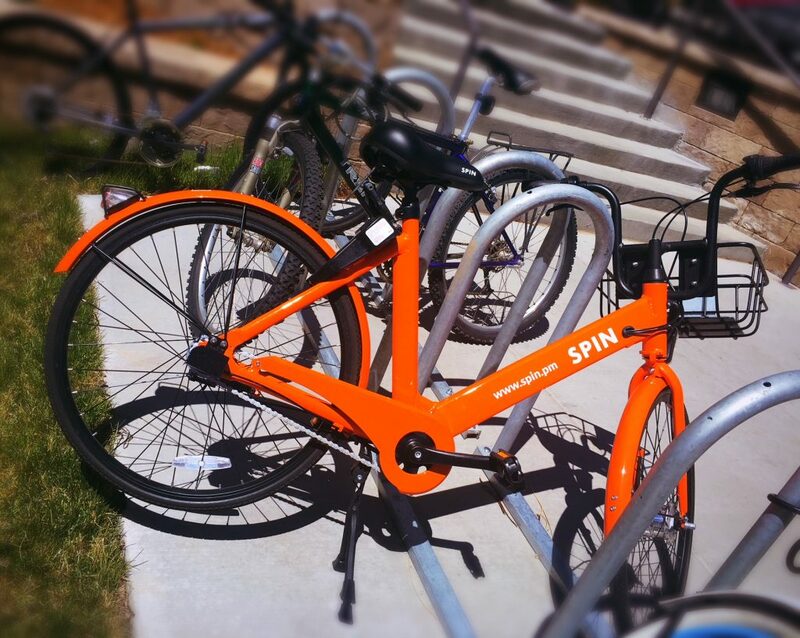 The City of Flagstaff and NAU are interested in feedback on the bike share pilot. To provide input or ask questions, visit https://www.flagstaff.az.gov/bikeshare, send an email to bikeshare@flagstaffaz.gov or discuss the topic in the online Flagstaff Community Forum.